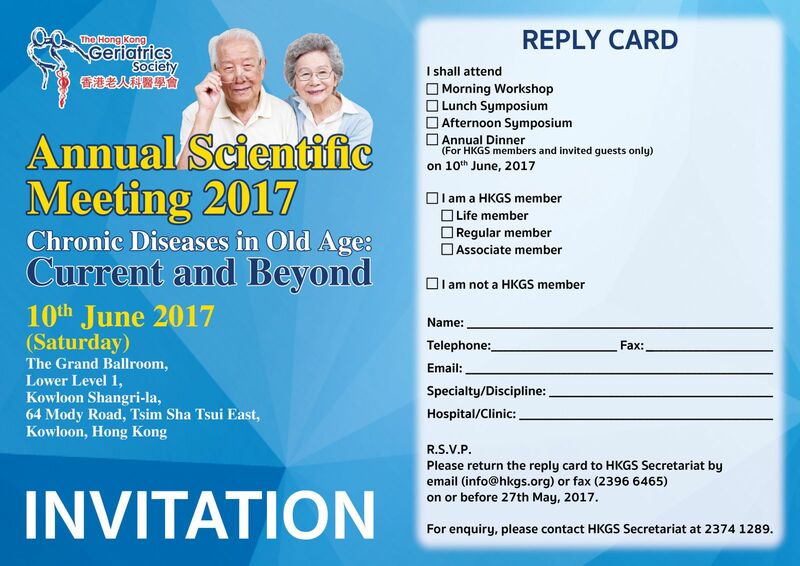 We are now calling for abstract submission for the free paper presentation at the HKGS ASM 2017. 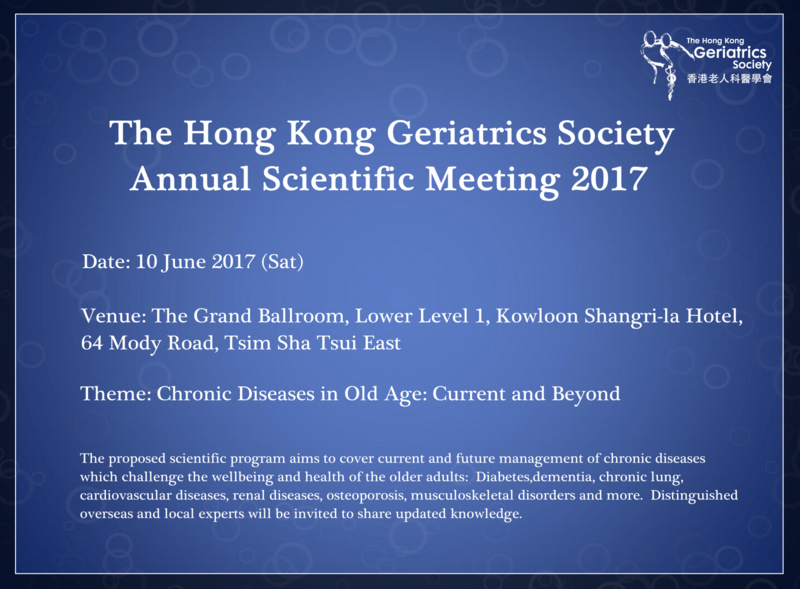 The scientific committee will select five abstracts for oral presentation. 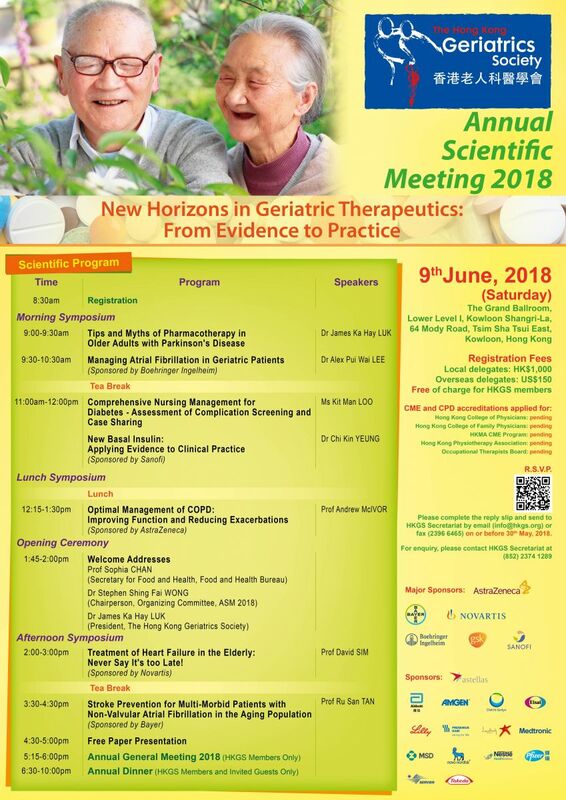 The first author of the 3 most outstanding papers in the oral presentation will be awarded the Dr Chan Sik prize, Dr Ng Yau Ying prize and Dr Ng Ngai Shing prize. Participants may submit any number of abstracts, but only 1 prize will be awarded to any one participant. 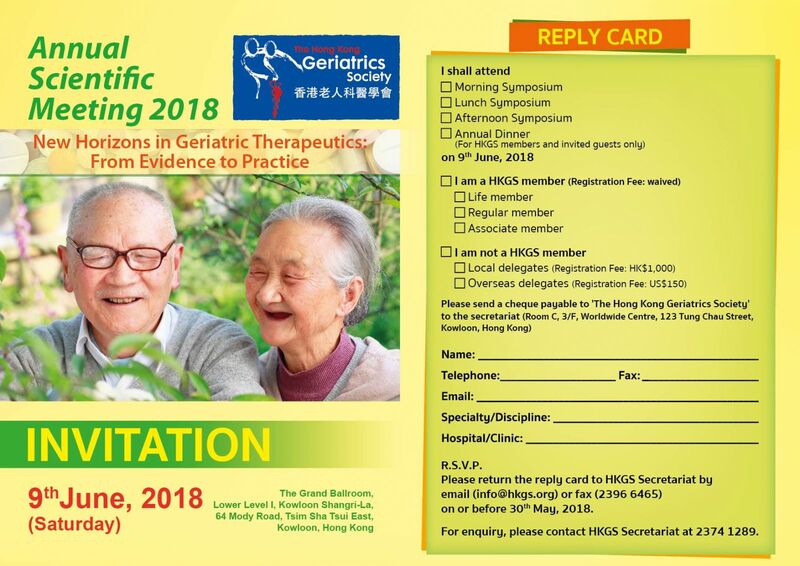 The Asian Journal of Geriatrics and Gerontology will publish the abstracts as a supplement. Authors retain their rights to submit the manuscript to other journals. 5. The length of the abstract should be limited to 500 words and can include 1 table or figure. Font should be Times New Roman with size 12. 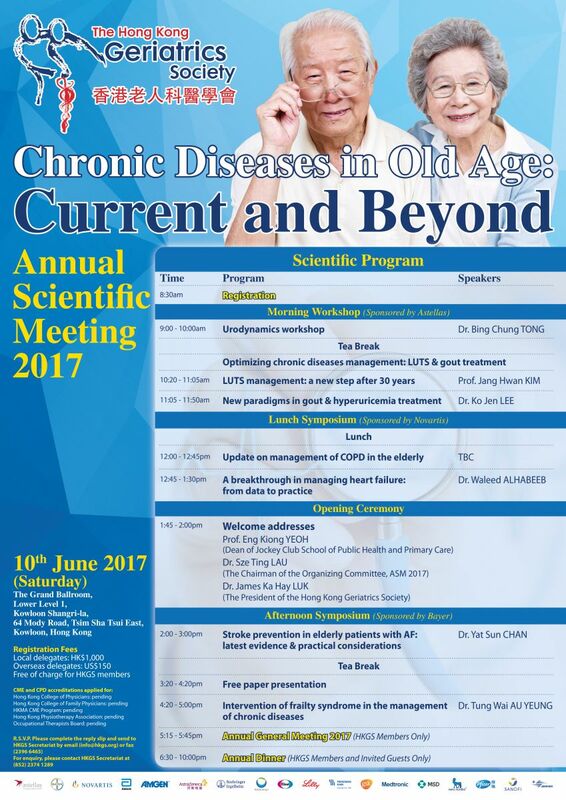 Please send your abstracts to chanky10@ha.org.hk. Deadline is on or before 30th April 2017.